Rtveli (Georgian: რთველი) is the traditional vintage (the process of picking grapes and making wine) accompanied by celebrations that mark the end of the agricultural cycle for the year. 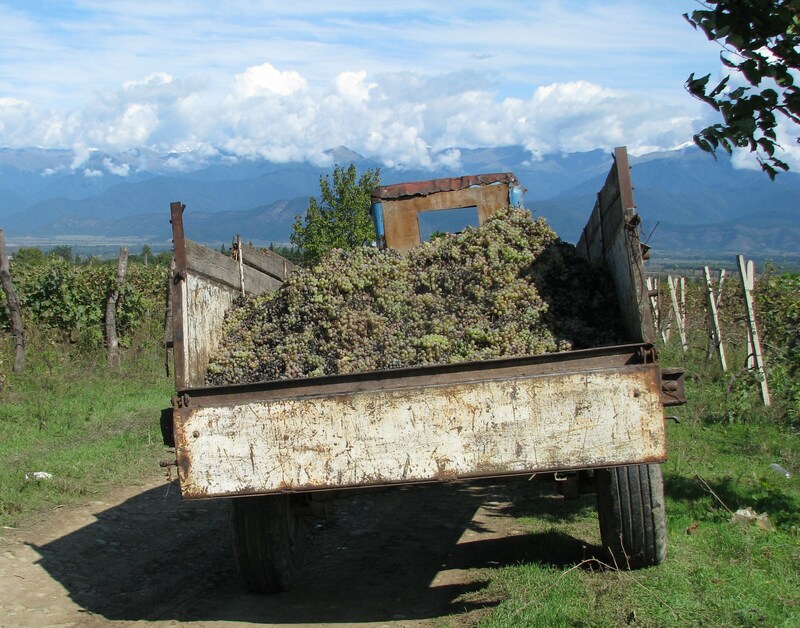 For centuries, viticulture has been of great economic importance to Georgia. Today, there are more than 175,000 acres planted with vines. 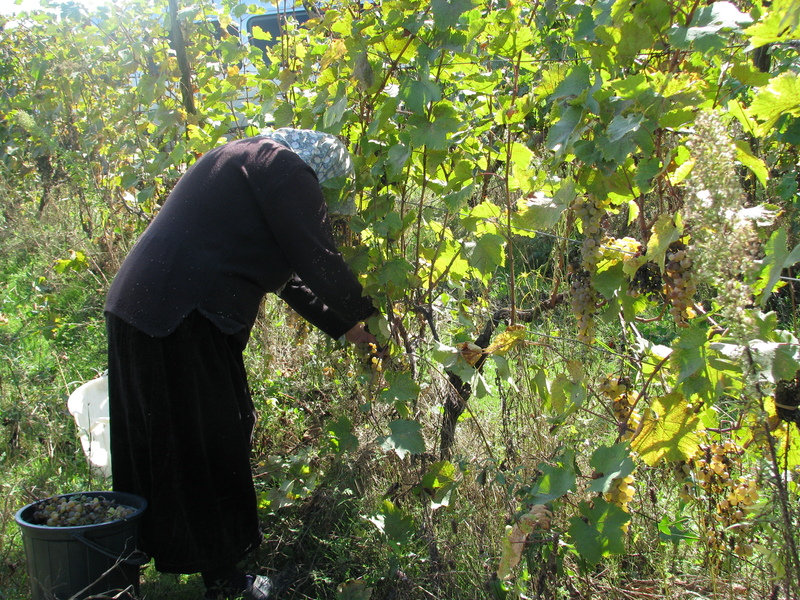 The vine also has an iconic and religious significance in Georgia and the tradition of rtveli dates back to ancient times, having its roots in the celebration of mid-Autumn abundance. 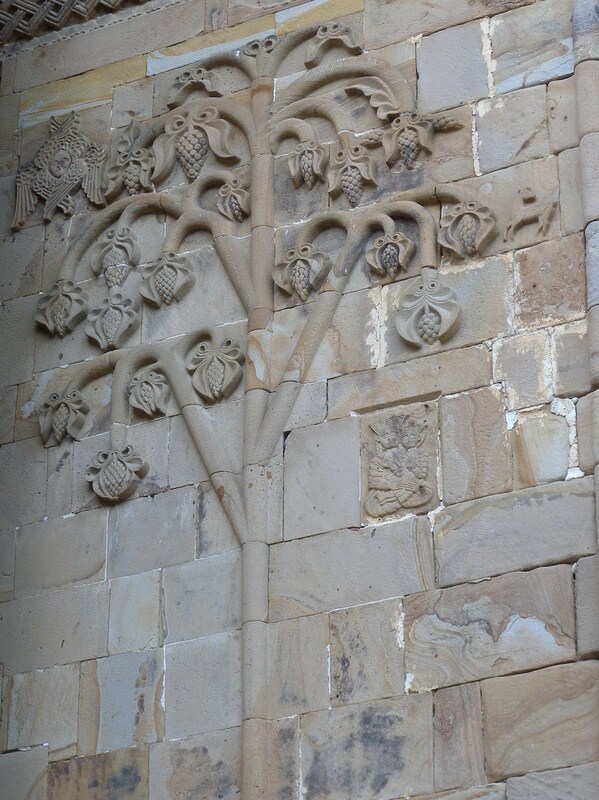 Frescoes, churches, enamels and mosaics all have grapevine motifs, and there are a number of ancient songs dedicated to the vine and its fruits. The vintage and festivities normally take place in late September in eastern Georgia and in mid-October in western Georgia. Rtveli involves almost everyone in Georgia. 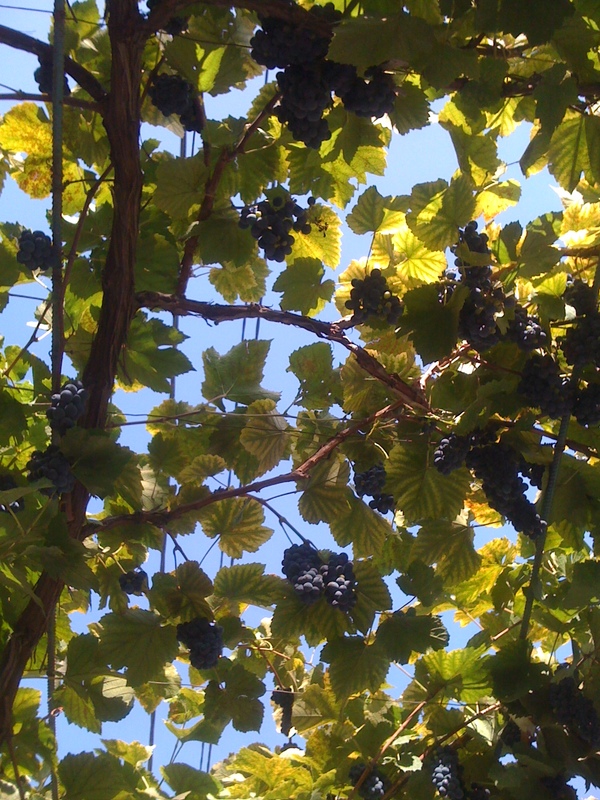 Wine is produced by thousands of small vineyard farmers (using primarily traditional techniques of wine-making), as well as by modern wineries. Most homes grow vines in their yards and make a couple of hundred liters of wine each year for personal consumption. Less than 5% of the wine that the population drinks is bought bottled in shops. 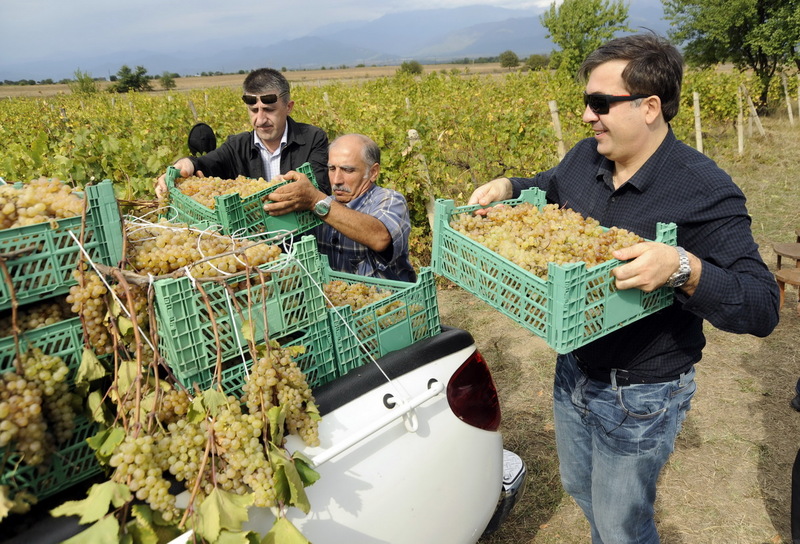 Even the President of Georgia, Mikheil Saakashvili, helps with the harvest! Most wine in Georgia is produced using natural and ancient technologies. 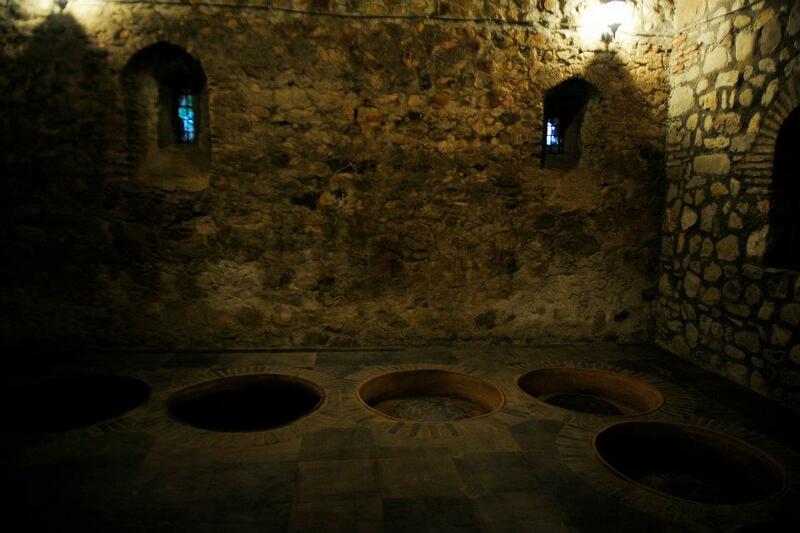 Grapes are pressed by foot, and the juice is poured into massive clay vessels, called Kvevri, that are buried below the floor level with the neck of the Kvevri surrounded by a recessed basin in a special room called a marani. The amount of time the grape must spend in the Kvevri depends on how much colour, flavour and tannin the wine-maker wants to extract from the skins, pips and stems. 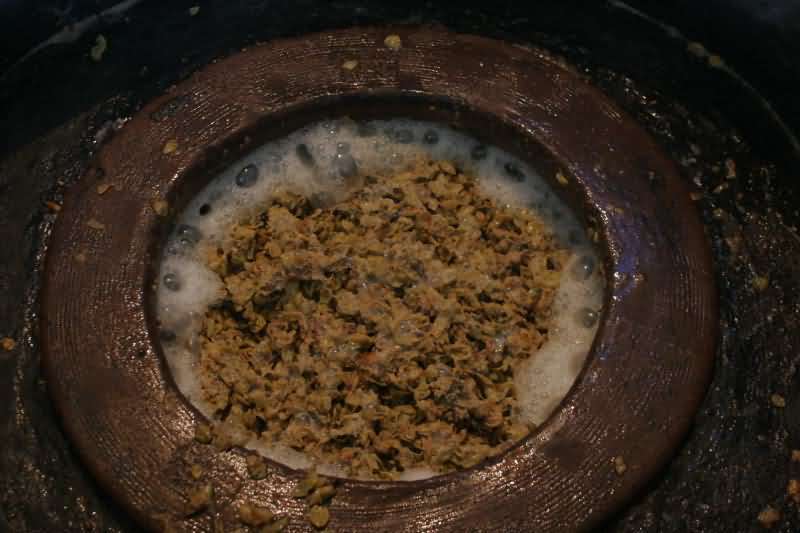 When the must is eventually removed, the juice left in the vessel is covered, sealed and left buried for up to two years, where it completes its fermentation and fully matures. There is a growing demand among high-end consumers for all-natural wines with a rustic taste. It’s a market that Georgia, home of the kvevri, is well placed to supply. It is, however, a niche market. 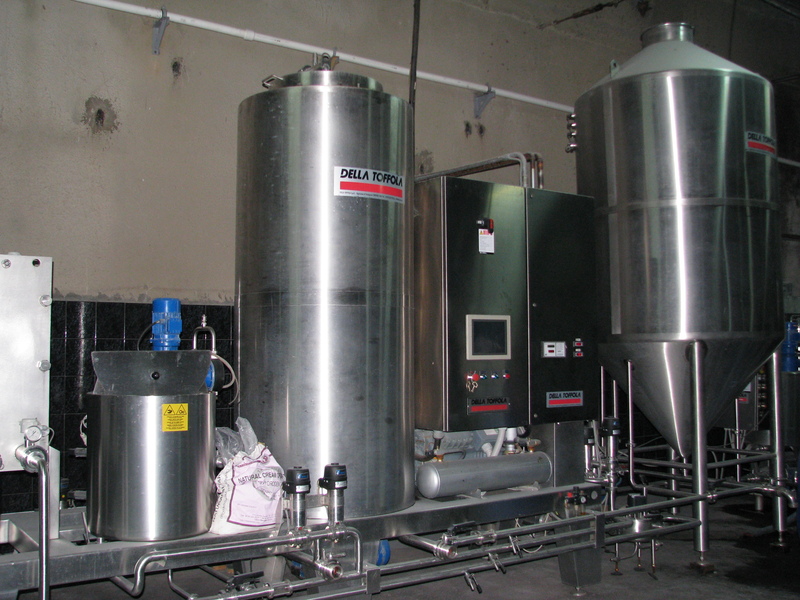 Using kvevri, a wine company can produce a maximum of 20-25 tons of kvevri wines. That compares with a volume in the hundreds of tons using more modern methods. 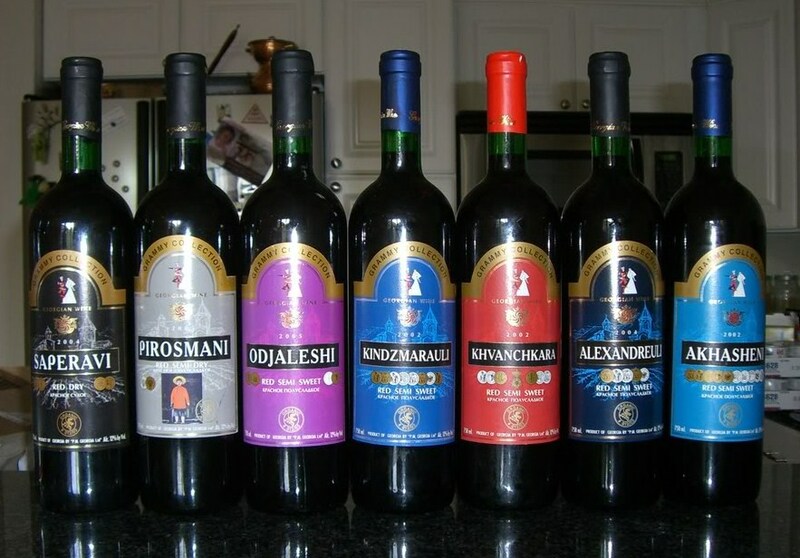 If you would like to know more about traditional Georgian wine making – click here. 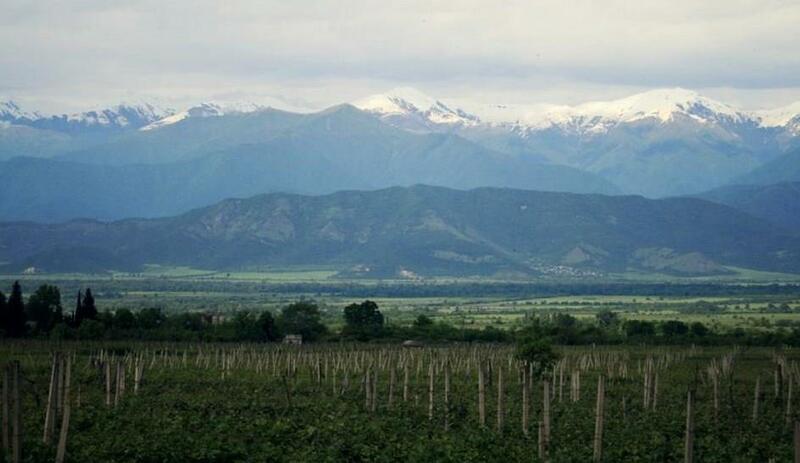 But alongside ancient methods, more and more Georgian wine is being made for export, using state-of the-art equipment by wineries such as Teliani Valley, Telavis Marani, Tbilvino, Kindzmarauli Marani, Badagoni, Gorelli and Mukhrani. In 2011 Georgia exported wine to 48 other nations, a 30 percent increase since 2007. Most (70%) of the wine exported is red and semi-sweet, but demand for exclusive wines is rising (wine fermented and aged in kvevri). If you are in Georgia during the autumn, make sure to participate in the Rtveli. Volunteers are always welcome. 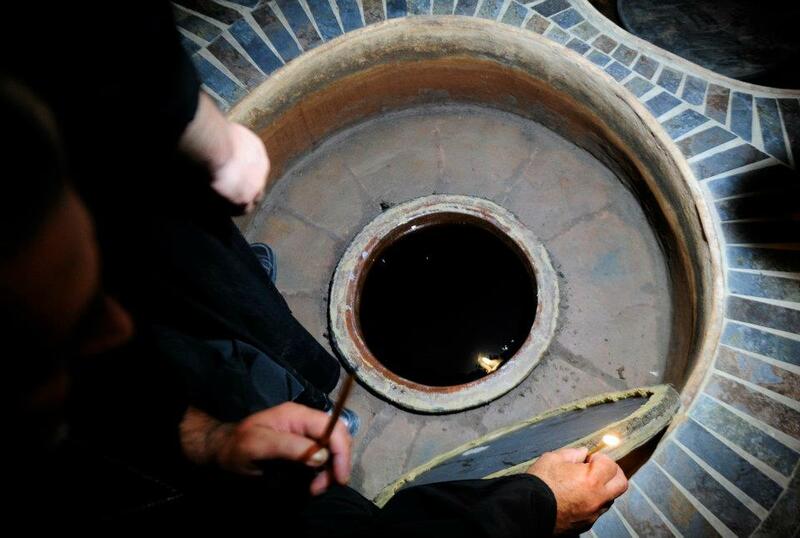 You have to get up early and it’s hot work but you get to collect grapes, get your feet wet pressing the wine, see a marani (wine cellar) and be part of the famed supra (Georgian feast), led by a Tamada (toast master), at the end of the day. 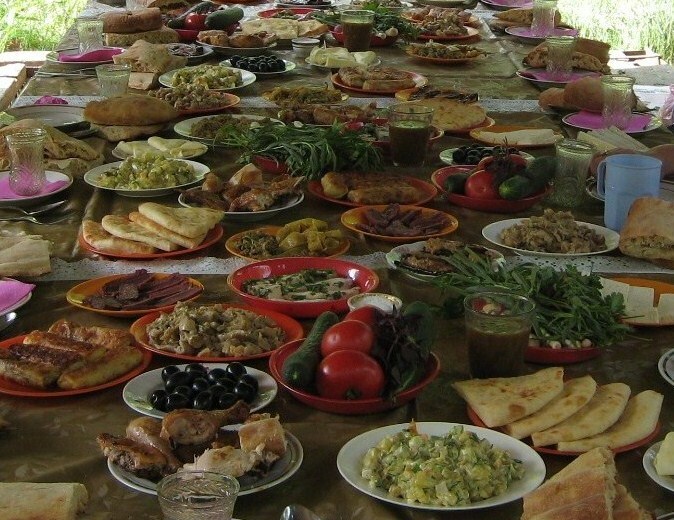 There will be singing and dancing, mountains of delicious food and……..wine! Celebrate Rtveli in Georgia – it will be an experience you will never forget!